With her powerful messages, dynamic presenting style and passion for helping create leaders, Lieutenant Colonel Consuelo Castillo Kickbusch has been invited to speak, train and consult all over the United States and Puerto Rico. 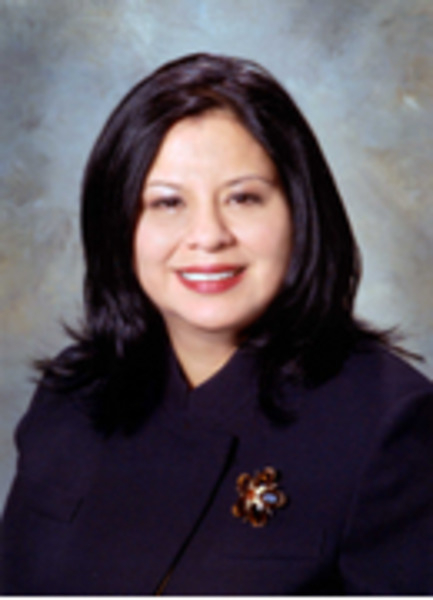 A native of Laredo, Texas, she received a B. S. degree in Law Enforcement from Hardin-Simmons University and earned her ROTC commission as a Second Lieutenant in the U.S. Army. She became the first woman commissioned as a ROTC officer in the state of Texas. She holds an advanced degree in Cybernetics from San Jose State University (California). Her military education includes completion of the Army Command and General Staff College and Department of Defense Program Management Executive Course. Her numerous decorations include the Legion of Merit, Meritorious Service Medal (4 times), Army Commendation Medal and Army Achievement Medal (twice). Lieutenant Colonel Kickbusch rose to be the highest-ranking Hispanic woman in the Combat Support Field in the U. S. Army. Following a distinguished military career, she retired in 1996 to pursue her dream of establishing Educational Achievement Services Inc., a training/consulting firm, to share her talents, skills and knowledge with people of all ages. She has incorporated years of leadership experience, success techniques, and motivational messages to empower them. Her leadership workshops use real-case studies and situations, thus providing a dynamic and interactive learning environment. Consuelo resides in San Antonio with her husband and five daughters.